﻿ How to switch the language of flip book maker? How to switch the language of flip book maker? Q:Hi, I had a try of your flip book maker. I am not so familiar with English. Is there a method to switch the language in Italian? Please try hard to help solve this problem. A:It is well known that there is thousands of language in the world. It plays an extremely important role in communication and cultural heritage. Anyway, if you use our software with the language you’re not familiar, there is no doubt that you will feel upset and can’t know well in the software function. Furthermore, you can’t make good use of flip book maker. Back to the question, yes, there is a way to solve this problem. Even you won’t spend much time to set it. 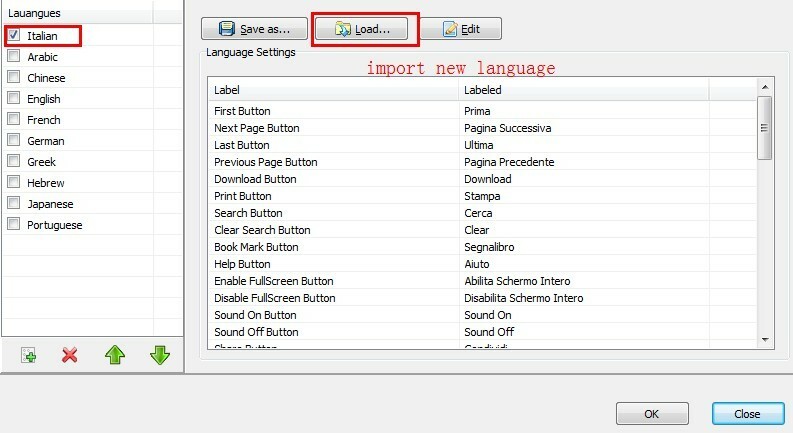 Step2: click the box, and choose the language you want such as Italian. If you can’t find out your language in the box, it allows you to load other language. Step3：click “Apply Change” to check the language. 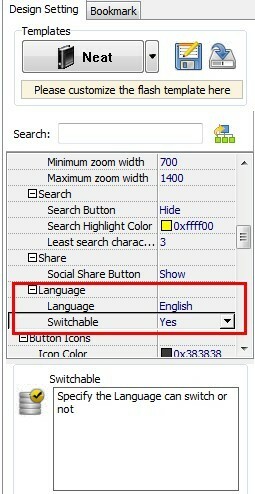 If you want to switch language between Italian and English, you would need to select “Yes” in switchable box. 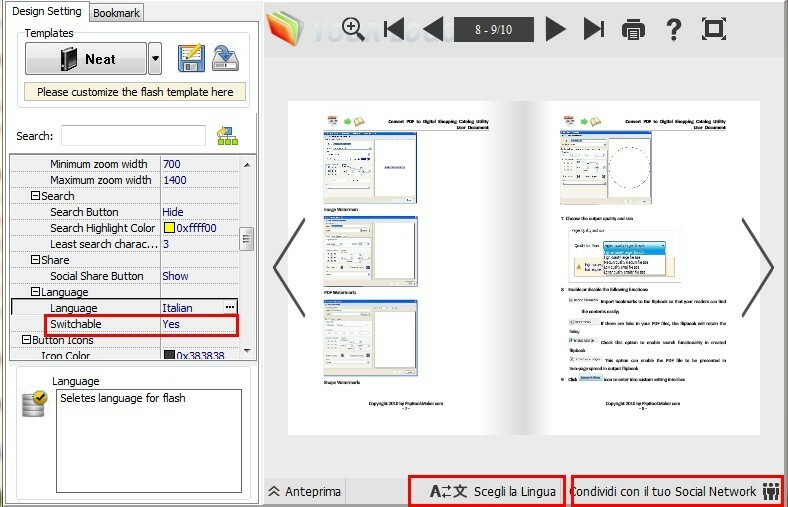 Finally, you can use the flip book maker with Italian language. Copyright © 2012 FlipBookMaker Software Co., Ltd. All rights reserved.